Google actually had an Early Adopter Program for G Suite users who were eager to try Hangouts Chat out, but only now has the service gone live for everyone. Users can collaborate and chat in rooms, communicate with bots, and share files and other content easily. 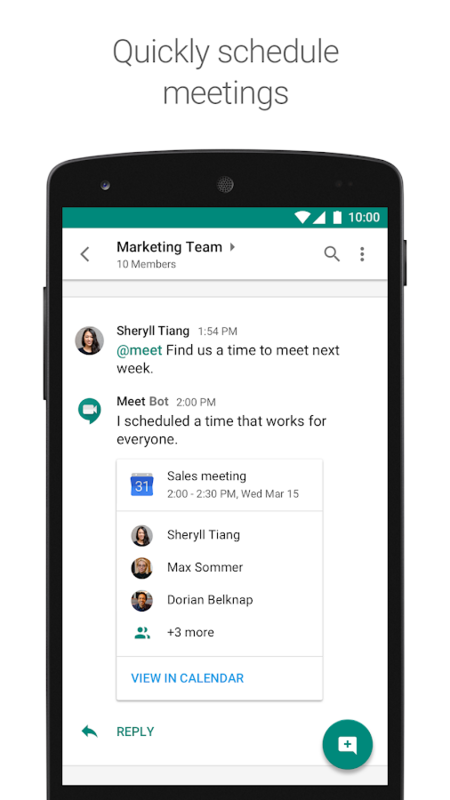 As a Google service, it integrates seamlessly with Drive, Docs, Sheets, Slides, and even Hangouts Meet. Artificial intelligence enables chores like booking conference rooms and searching for files to be done more quickly. 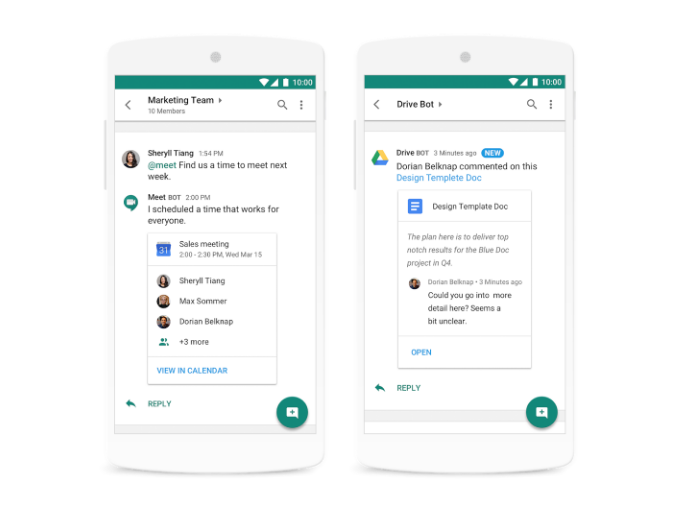 Bots include the @Drive bot, which lets you know when changes are made to your documents, as well as the @Meet bot, which schedules meetings for you by integrating with Google Calendar. More integrations can be built atop if needed. Popular companies that have already developed bots for Hangouts Chat include Salesforce, Zenefits, Disco, ProsperWorks, Trello, and Kayak. Google is also highlighting the security aspect; Vault, which allows admins to archive, save, search, and export Chat's data, is integrated. There's also mobile device management, single-sign-on, 2FA, and more. 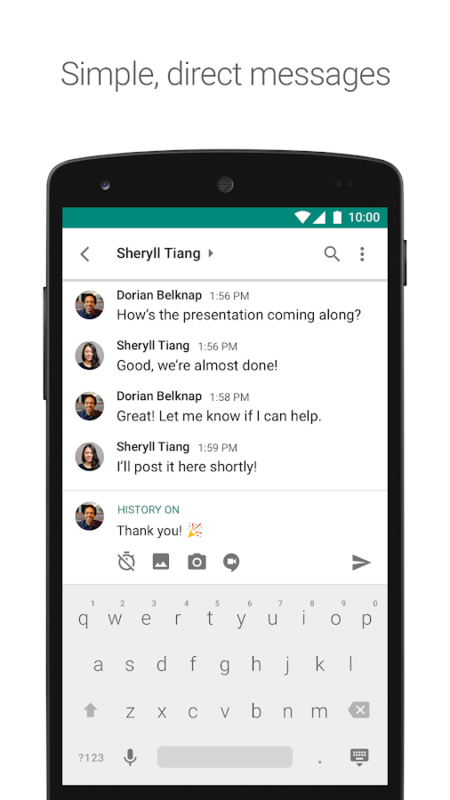 Hangouts Chat supports 28 languages, and each room can have up to 8,000 members. As you'd expect, Windows, macOS, iOS, and Android all have their own apps/clients. It's already live on the Play Store, and we've got the Hangouts Chat APK over at APK Mirror.